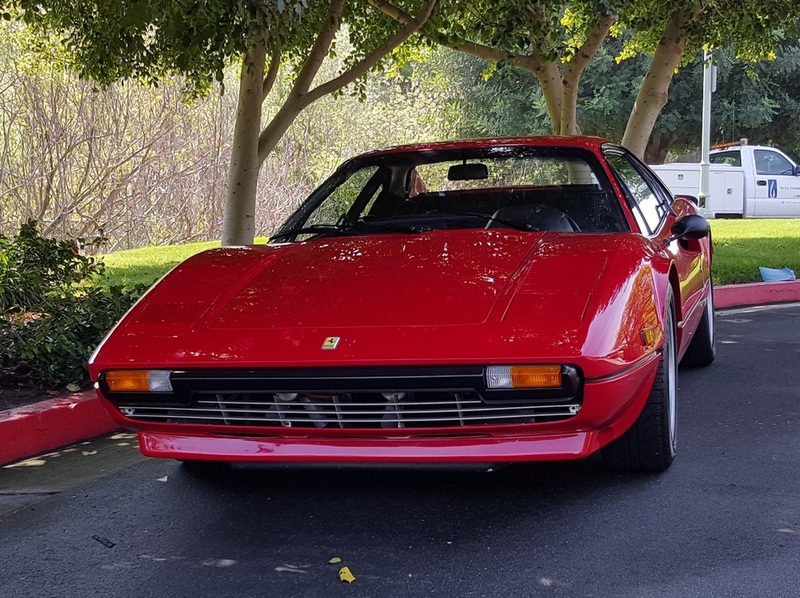 Scroll down for extensive photos of this Ferrari 308. 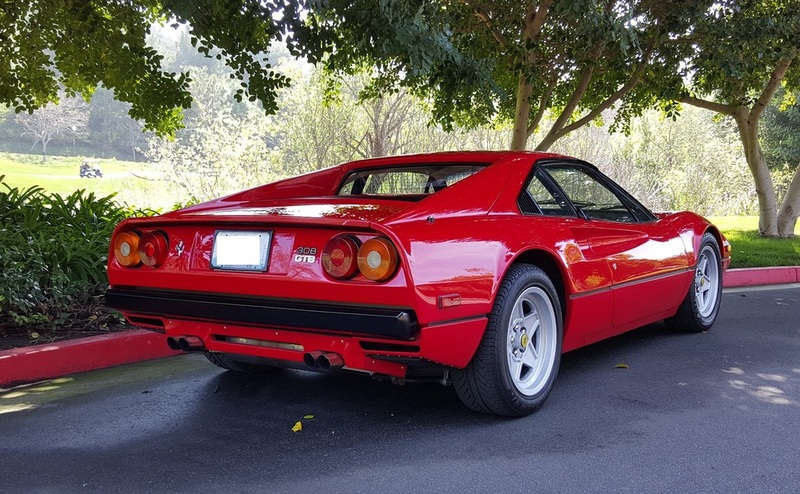 Most 308s for sale are average; this 308 GTB is exceptional in all aspects. 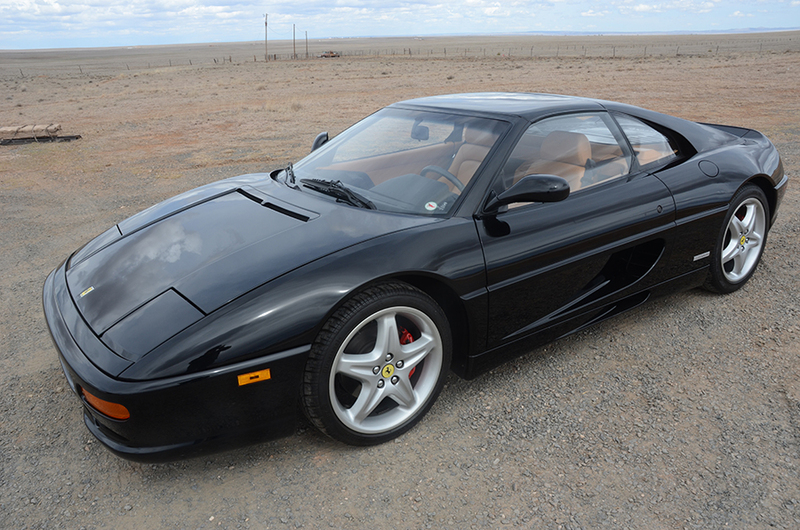 Here are a few highlights on this Rosso Corso beauty: Low original mileage (approx. 12,000 mi), Platinum FCA winner Coppa, Bella Machina winner, 270 HP engine with stock appearance. 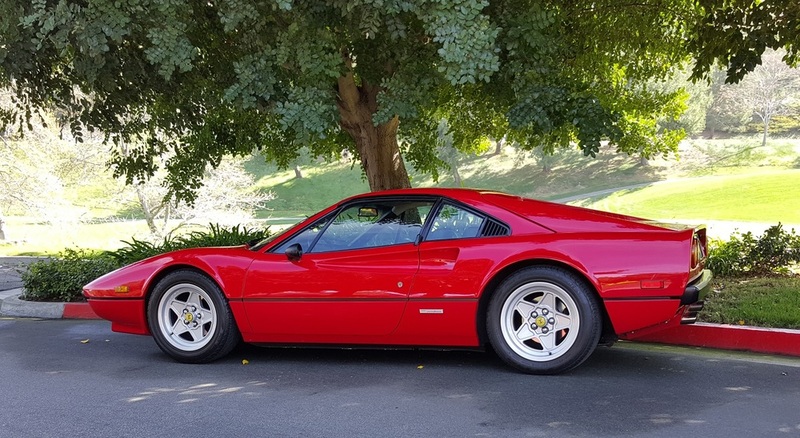 The rule of thumb in the classic car world is to buy the best example of a certain model you can. 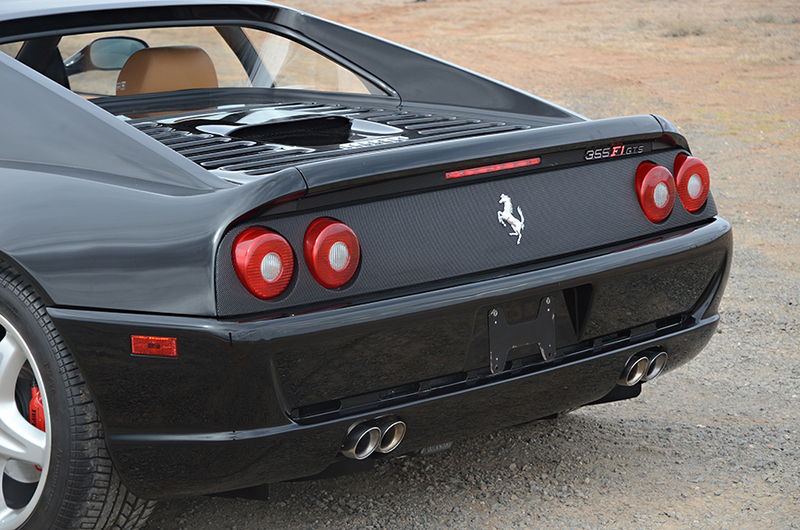 Without a doubt, this 308 is the one. 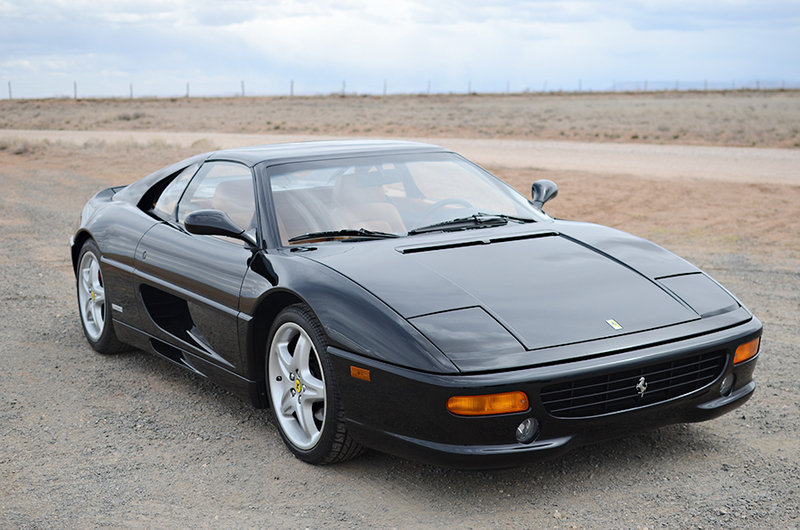 The cost to restore an average 308 GTB to this standard would far exceed the price to buy this example. 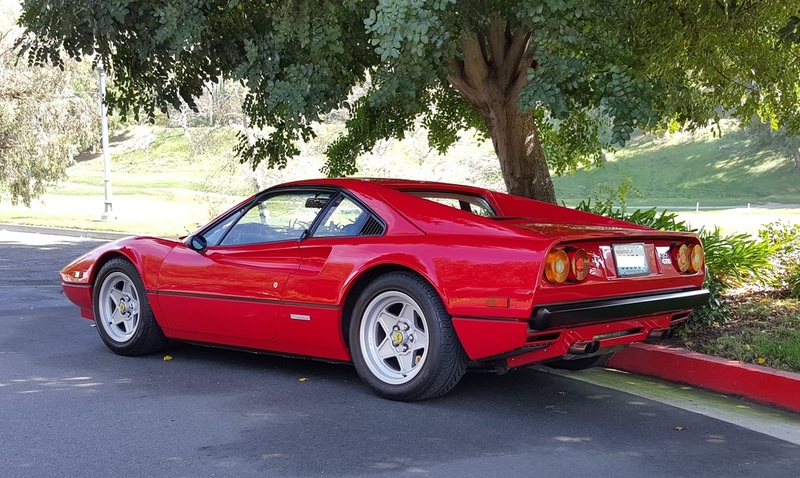 This 308 GTB has a well documented past with service records, tools, books, etc. 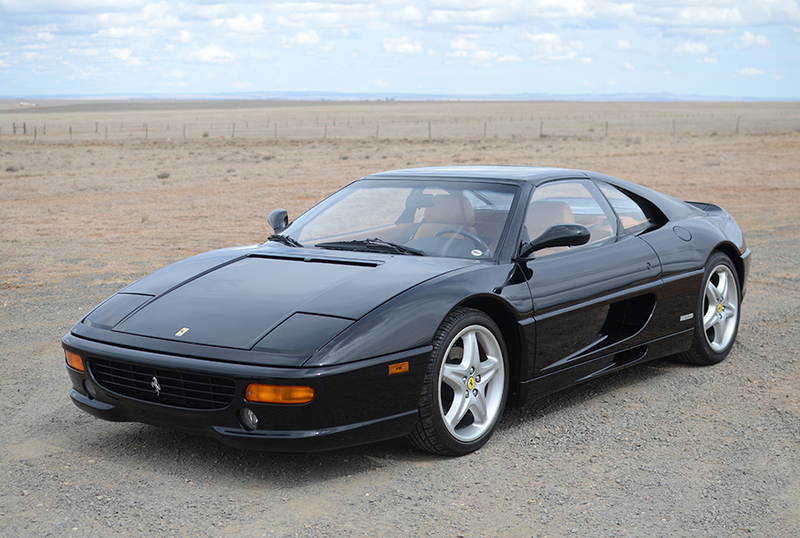 A look at the photos of this outstanding example will reveal the quality of the car. The mechanicals are fresh with a major service done a year and a half ago. 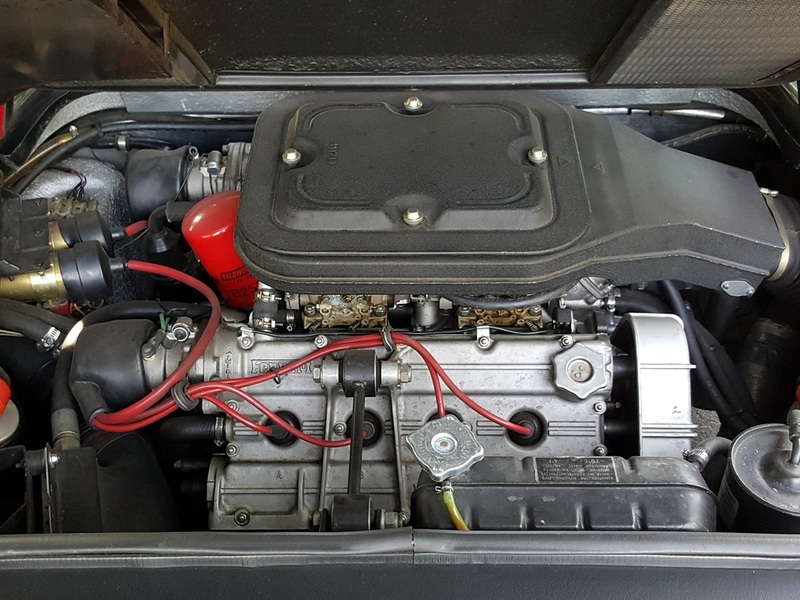 The engine was rebuilt and improved recently. A dyno test certification comes with the car. Here is a description from the Carobu Engineering website. 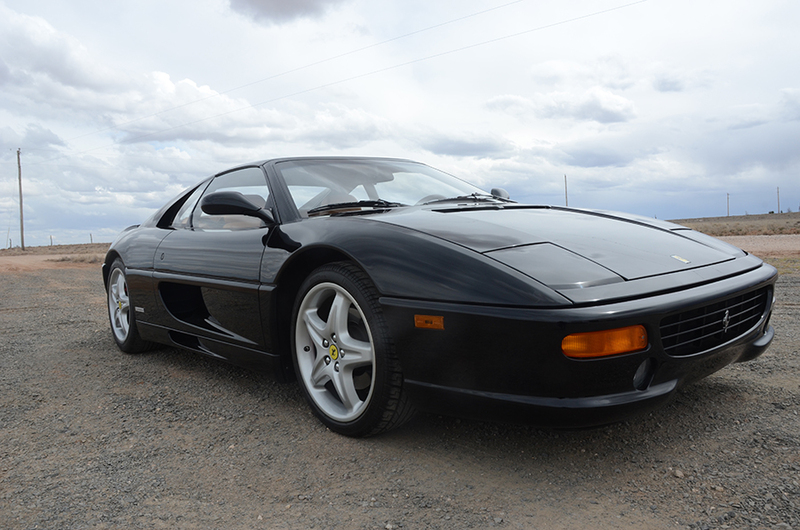 The clutch, water pump and steering rack were all replaced recently. 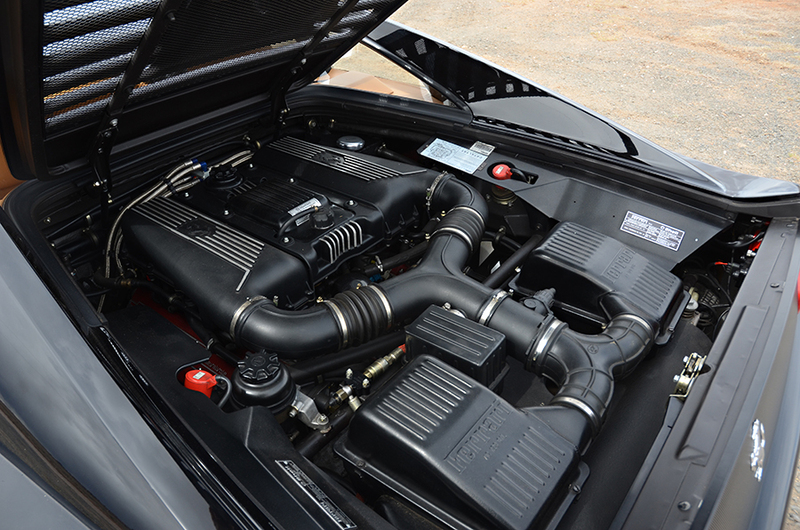 The radiator has been updated with a more efficient and much lighter aluminum version. The Koni shocks were rebuilt and upgraded to include adjustable ride-height. 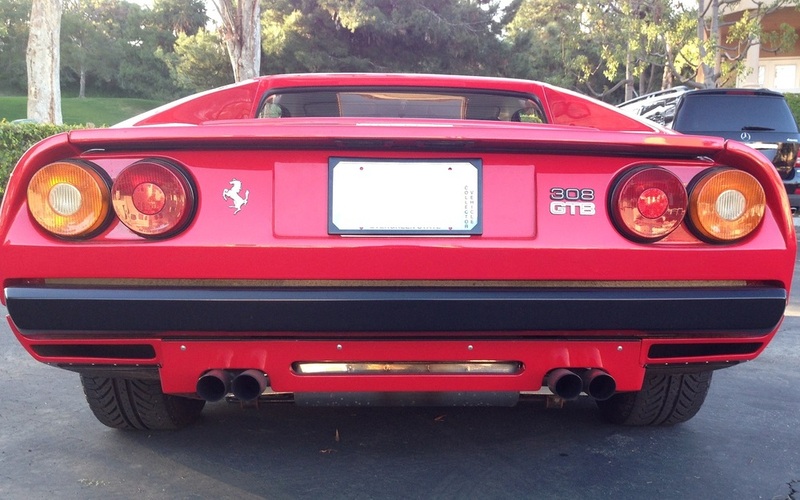 16” factory alloys and performance tires complete the high-performance chassis. 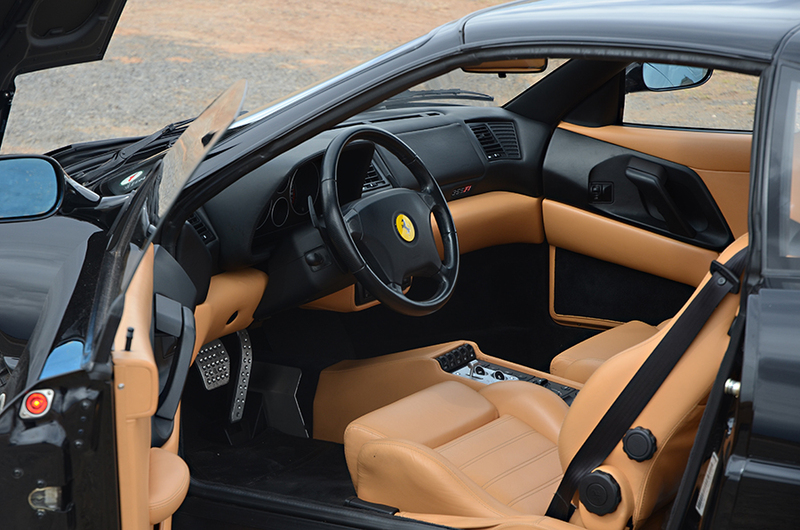 This Ferrari needs nothing and is ready to be enjoyed. A look at the body shows a meticulous attention to detail. The bumpers are the highly desirable Euro-type that are lighter and better looking than the heavy (some say ugly) US bumpers. 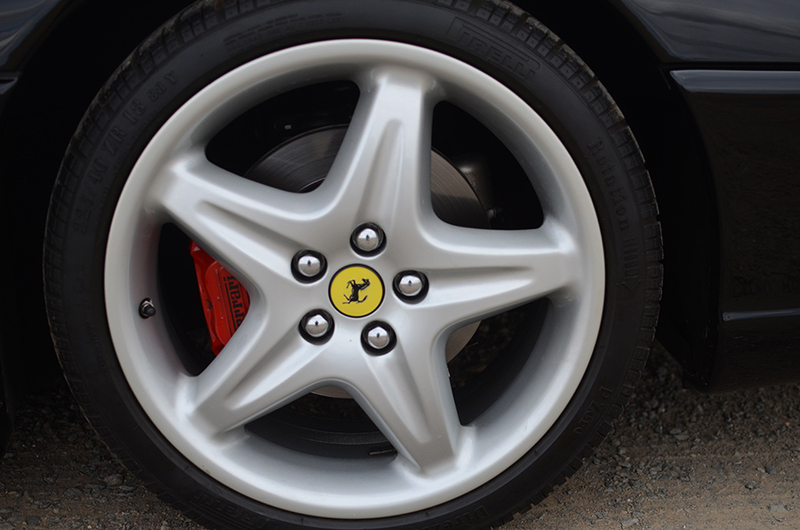 The wheels are in concours shape with the proper 16” tires. 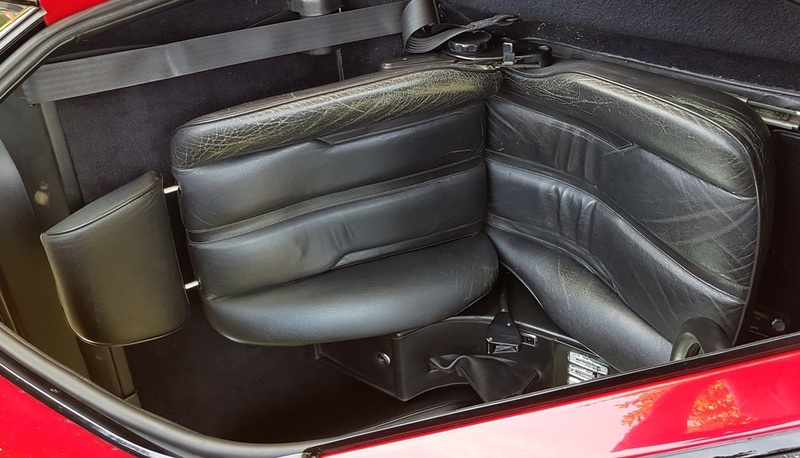 The interior continues this theme and is in excellent condition with only light driver’s seat wear from normal use. The original Blaupunkt radio is included, but it has been replaced by a modern Blaupunkt San Francisco with CD player. 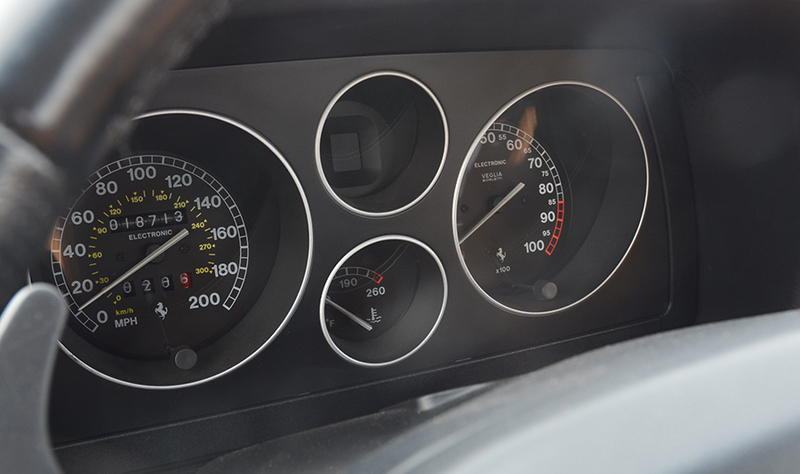 The steering wheel shows almost no wear, the dash is perfect and the gauges/controls are still fresh. 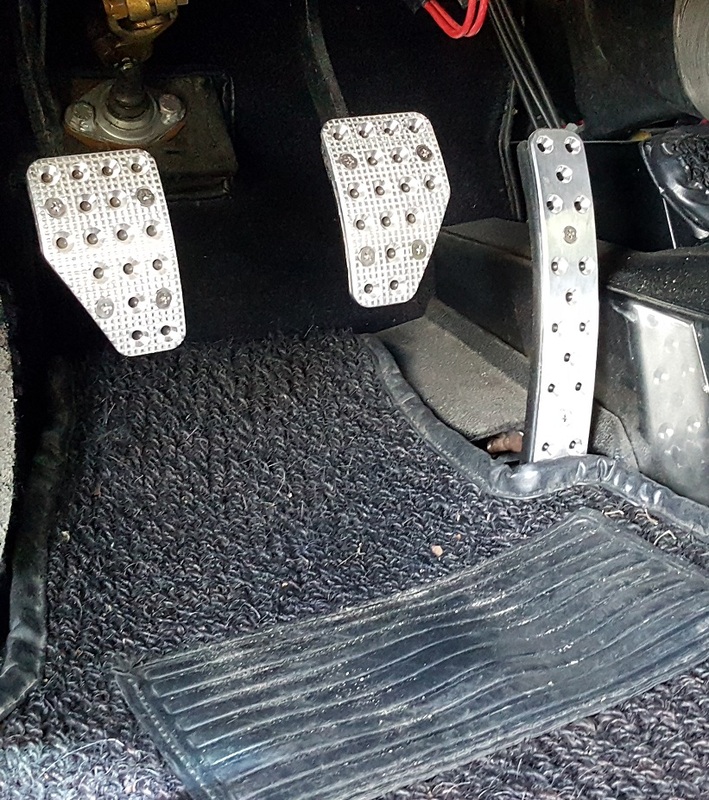 The pedals have aluminum covers (F40 style). 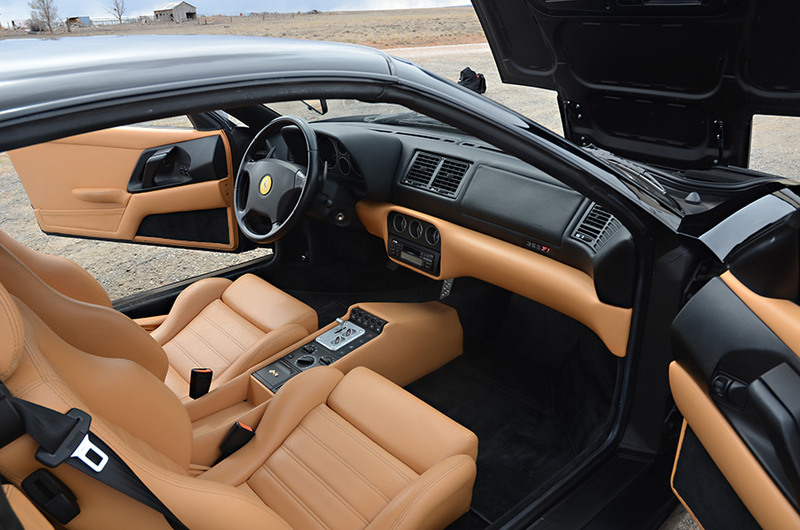 The driving experience is what Enzo intended. 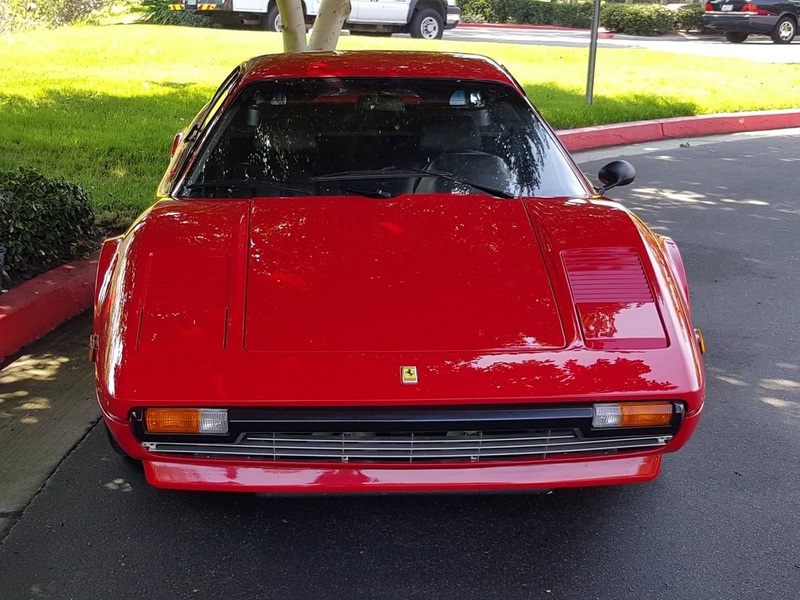 This 308 drives straight, handles well, brakes hard and accelerates better then a 328. The sound from the light-weight stainless steel Tubi sport muffler is hair-raising while the shifting action is smooth and crisp. A light-weight flywheel adds to the performance feel of the engine. 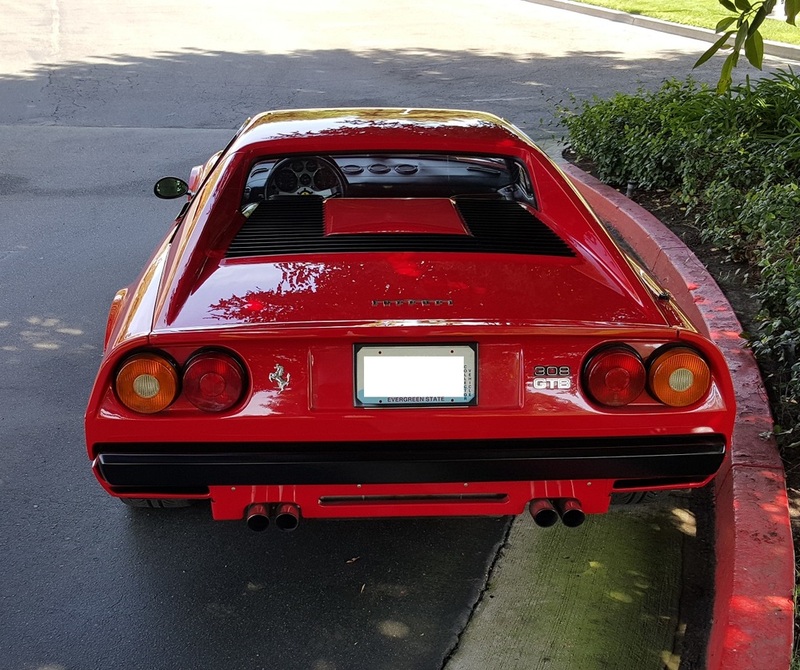 And this 308 is light weight too, with the overall car weight cut down by 200 lbs. 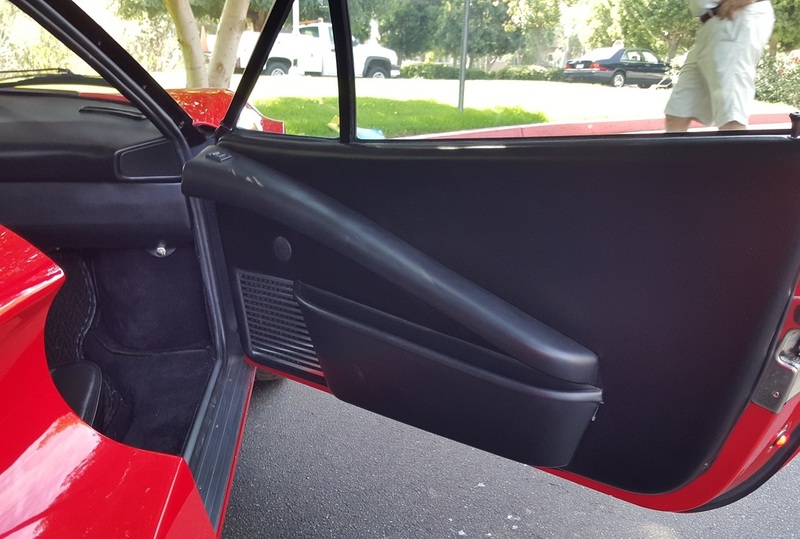 This gives the GTB a responsive feel missing on most US model 308s. 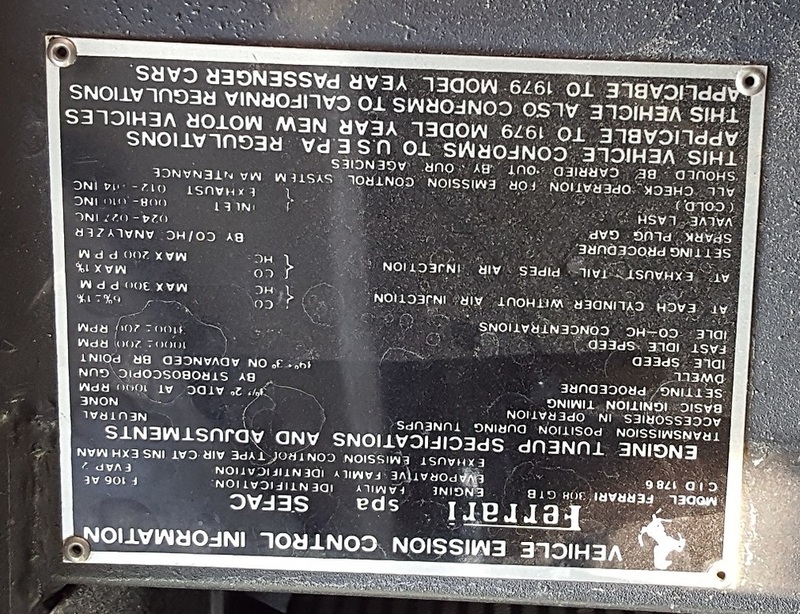 Included in the sale are the following: The original smog equipment and air pump, original rubber pedal pads, Blaupunkt radio/tape player, air conditioning compressor, copies of receipts for work done, books/tools/jack. 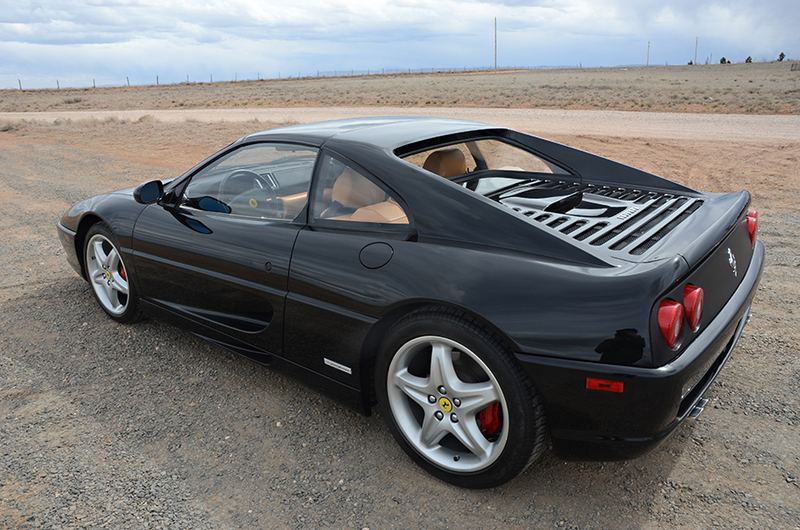 This 1997 F355 GTS F1 is in excellent condition, having covered just over 18,000 miles since it left Maranello. 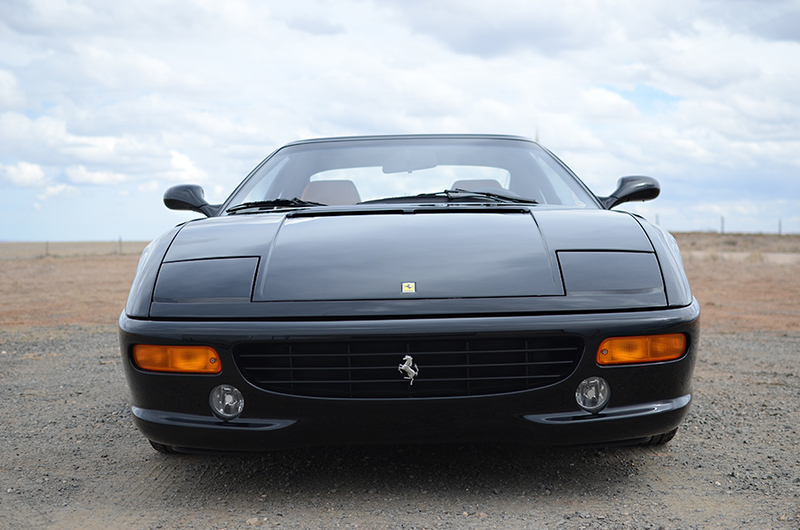 Exterior: The Nero (black) paint is in excellent condition and there are no dings or dents anywhere on the car. The original 18-inch wheels are in great shape with no curb rash. Tires are virtually new and have plenty of tread left as well. All glass is in perfect condition. 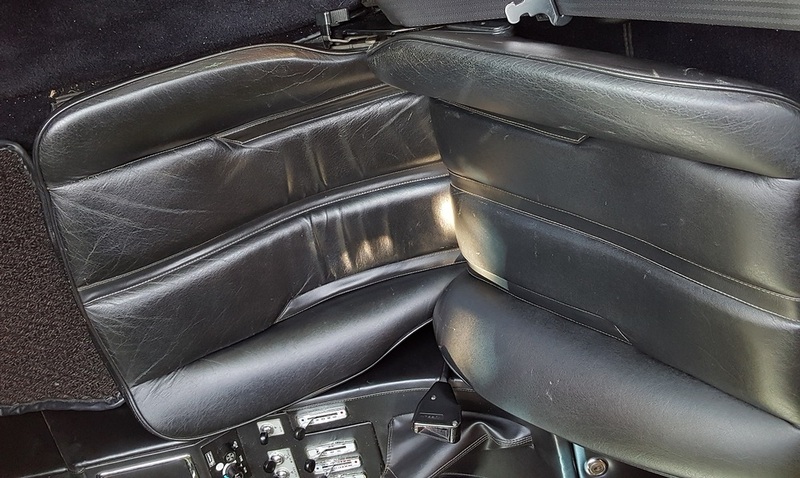 Interior: The black and tan interior is in excellent condition, with soft-feeling leather than shows minimal signs of wear. 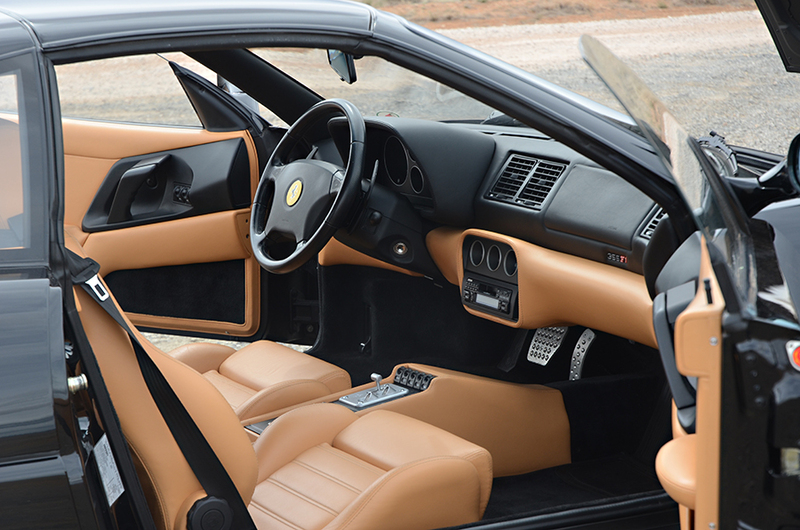 The plastic trim was redone by STICKYNOMORE, so there is none of the sticky texture that these Ferrari interiors suffer from due to the sub-standard coating that was originally used. 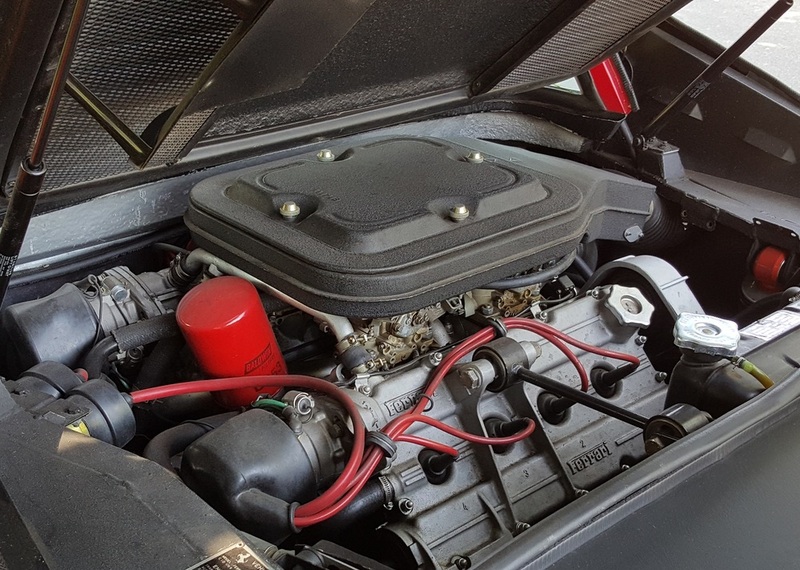 Mechanicals: The 3.5-liter V8 runs perfect and has been fitted with a better sounding Tubi exhaust. The F1 transmission operates as it should as well.